Our first batch of stickers! The Hello Dinosaur Friend ones can be found on my RedBubble store. We're still working on the hearts and lof bees (our first tests weren't as vibrant as we'd hoped). 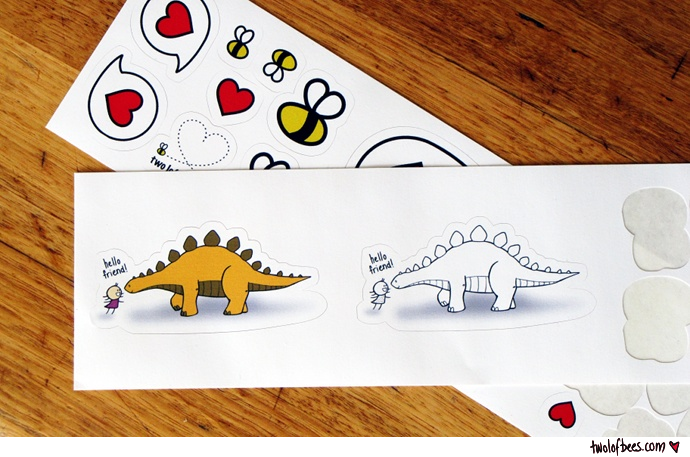 If you want to check out the Hello Dinosaur Friend stickers, they can be found here and here. The coloured artwork can be seen here.